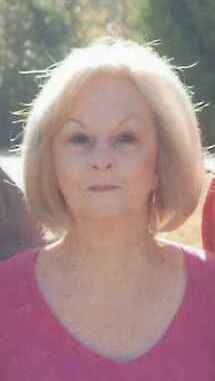 Graveside services for Judy Garrett Sylvester, age 76, will be held Wednesday at 1:00 at the Wayside Baptist Church Cemetery directed by Norton Funeral Home. Rev. Buddy Amerson and Rev. Jerry McManus will officiate. Visitation will be anytime at the residence, 129 Woodham Road, Bishopville, S.C.
Judy was born in Hartsville a daughter of the late Thomas J. Garrett and Eula Mae Andrews Garrett. She was retired from the Lee County Court House after 33 years of service and was a member of Faith Baptist Church. Surviving are her husband, Walter Dale Sylvester, Bishopville; one son, Todd (Cissy) Sylvester, Bishopville; two brothers, Tommy (Sarah) Garrett, Hartsville and Jerry (Bert) Garrett, Bishopville; several nieces and nephews who she loved like her grandchildren. She was preceded in death by a son, Brad Sylvester and one daughter, Donna Sylvester. Norton Funeral Home is honored to serve the Sylvester family.